Seismic Blasting Could Be Coming to a Coast Near You: Here’s How to Stop It! To accelerate new offshore drilling, federal lawmakers are considering legislation to promote seismic blasting, an industry practice that damages marine life and pollutes the ocean with noise. Please contact your elected officials to protect marine wildlife from this harmful practice. Unless you’ve been living under a rock for the last six months, you know that the Trump administration is proposing new offshore oil drilling off virtually every U.S. coastline. But did you know that new drilling will also require seismic blasting – a damaging practice to search for oil and gas that involves deafening underwater noise and harms wildlife such as whales, dolphins, fish, and turtles? 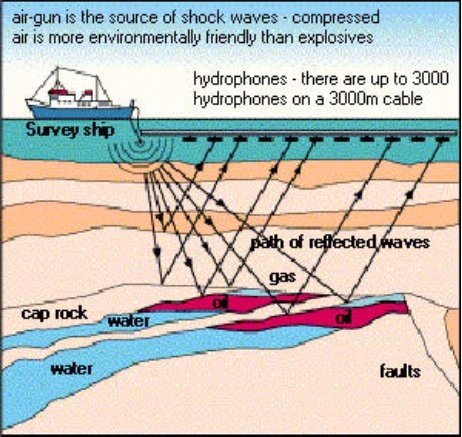 Seismic surveys are used by industry to locate and estimate the size of offshore oil and gas deposits before the drilling process begins. To carry out these surveys, ships tow airgun arrays that emit thousands of high-decibel sound waves that bounce off the seafloor. These sounds can be upwards of 240 decibels or more, which is louder than a rock concert or a jet engine flying 100 feet overhead! Moreover, given the geographic scope of potential offshore drilling, such surveys could cover thousands of square miles of ocean in the coming years. The impact of such noise pollution in the ocean can be devastating to marine life. At close range, seismic airgun blasts can cause injury or death to animals such as whales, dolphins, fish, turtles, and invertebrates. According to an environmental impact statement completed by the federal government in 2014, seismic surveys in the Mid- and South Atlantic could injure up to 130,000 marine mammals, including the critically endangered Right Whale and the bottlenose dolphin. Seismic surveys would also displace and cause impacts - such as temporary hearing loss - to a broad range of fish and invertebrate populations. But the impacts of seismic blasting don’t just occur at close range. On the contrary, the sounds generated from seismic surveys can travel hundreds or even thousands of miles and disrupt the behavior of a broad range of marine species. Sound travels efficiently underwater – much better than light for example - so it’s not surprising that many animals in the ocean depend on sound for activities such as communication, feeding, migration, and mating that are fundamental to survival. If we continue to saturate the underwater world with noise (already a huge problem as depicted in the film Sonic Sea) we will harm both individual species as well as the health of entire marine ecosystems. Given these grave impacts, it’s disconcerting that some of our federal leaders are working to dismantle laws that provide some measure of protection from seismic blasting. The Trump administration is expected to make an announcement soon on five permit applications to conduct seismic surveys in the Mid- and South Atlantic. Surfrider and many other groups have been fighting this threat since 2010 through a grassroots campaign that has united hundreds of communities, thousands of businesses, and millions of citzens in opposing oil and gas development in the Atlantic Ocean. In addition, two bills have been introduced in Congress to reduce regulations for companies seeking to conduct seismic surveys and related activities in the ocean. The Streamlining Environmental Approvals Act (SEA Act) would gut core provisions of the Marine Mammal Protection Act and override the Endangered Species Act to fast-track seismic permits. The Strengthening the Economy with Critical Untapped Resources to Expand American Energy (SECURE Act) includes similar provisions, as well as other language to promote new offshore drilling. Both bills have passed through the House Natural Resources Committee and could go to a floor vote any day. That’s why it’s critical that people opposed to seismic blasting contact their representatives in Congress to demand their leadership in opposing this damaging practice. The good news is that some of federal leaders are listening and taking steps to limit seismic activities in the ocean – both due to the impacts caused by the surveys themselves and the implications for new oil and gas development. For example, ocean champions in the Senate and House have introduced the Atlantic Seismic Airgun Protection Act (S 1263/ HR 2158) to ban this activity off the East Coast. We need to champion such legislation that will stop seismic surveys for oil and gas under this and future administrations! Whales and dolphins are among the most magnificent creatures on earth, but they cannot vote or call members of Congress. 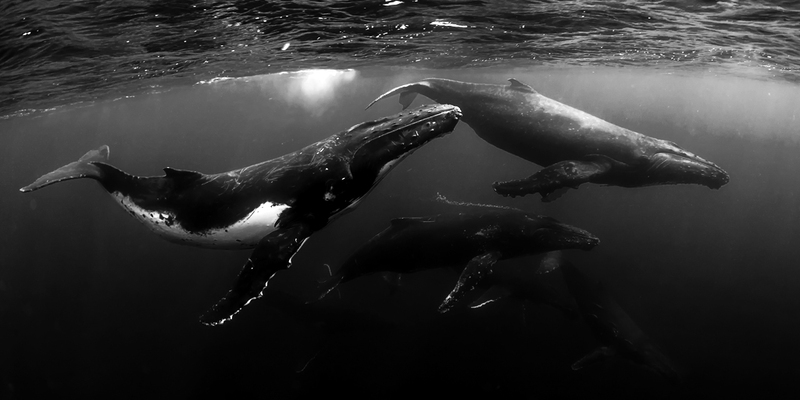 So please speak out on their behalf to protect their environment from harmful seismic blasting! In addition, we urge you to watch our recent Facebook Live broadcast, discussing the latest offshore drilling news, campaign updates, and ways you can get involved!